​And there's nothing you can do about it. Our site is under construction. Feel free to look around, just pardon our dust while we make a few much needed changes. a community guided by the Holy Spirit and committed to live by faith in Christ Jesus, God's only son, who was conceived by the Holy Spirit and born of the virgin Mary. a community dedicated to the study, teaching, and proclamation of God's Holy Word, the Bible. a community that will be known by its love--in word and deed--for all humanity. a community that will offer a voice of hope to all who seek a relationship with God. We invite you to join us. Come follow Christ with us as we try to respond to his command to seek the Kingdom of God, on earth as it is in heaven. In August 2018, Ecclesia called Rev. Aileen Mitchell Lawrimore as interim pastor. Several months later, we made it official and removed "interim" from her title. 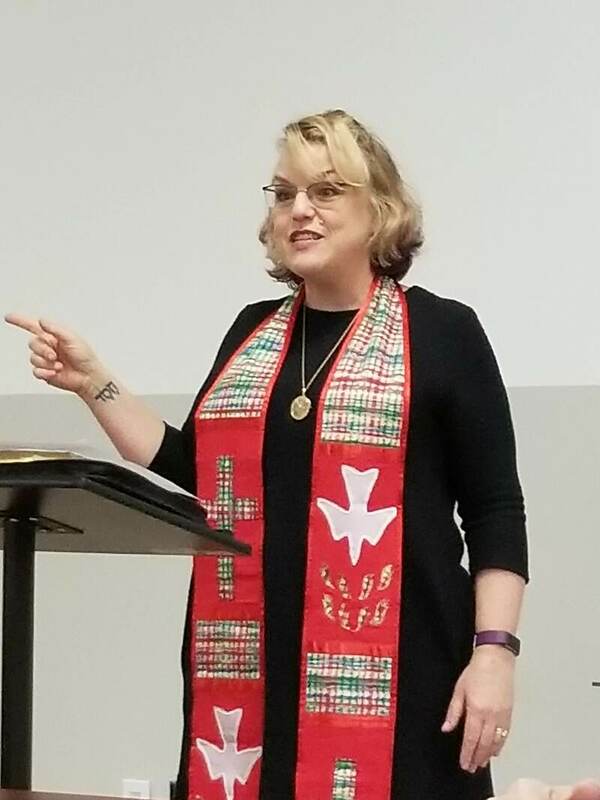 Aileen graduated from Gardner-Webb University School of Divinity in December 2010 and was ordained to the gospel ministry that same week by First Baptist Church of Asheville. She served in various roles at other baptist churches before coming to Ecclesia as pastor; immediately prior to joining Ecclesia's ministry, she was on staff at First Baptist of Weaverville, NC as minister with youth and children. Aileen is currently working on her Doctorate of Ministry at Gardner-Webb Divinity School with plans to graduate in August 2020. She also obtained her Bachelor's of Arts from Campbell University (Buies Creek, NC) in 1986 and her Master's of Education from Oklahoma Central University (Edmond, OK). Aileen and her husband Jay married in 1987 and have lived in the Asheville area since 1998. Their family includes daughter Trellace (New York City), son Baker and his wife Addison (Greensboro, NC), daughter Margaret (student at NC State in Raleigh), and Isabella Beagle (commander and chief of the home).